Picturing your ideas in 2017! What a year it has been “Picturing your ideas” in 2017!! With so much colour and creativity and ideas, illustrations and infographics! As this year draws to an end I just wanted to share some of my highlights as a small creative business owner who in two short years has turned something I love into something I live! I am so very grateful for the all the opportunities that have come my way, the support of the special people in my lives and the courage and belief I have to follow my heART. I have SOOOO many highlights from my visual work this year which has included graphically recording events, workshops, conferences and stakeholder meetings across Australia on important issues and topics from marine and coastal management to health, lived experience, nursing, integrated care and superbugs through to education and teaching, science and technology, research commercialisation, wine development and indigenous cultural heritage. One of my favourite feedbacks from this year has been, “Sue, you make the complex simple and the simple compelling“. FAB!! It’s wonderful to get the opportunity to work with so many new people and teams and I’m always very honoured to be invited back to ‘draw out’ the ideas of my amazing existing clients. I have also had a number of my illustrations and infographics appear in ocean text books this year, which is always great to ‘sea’! You can see how I “Picture your ideas” at my Graphic Recording. One of my absolute highlights though is visiting schools across Australia as my alter ego Dr Suzie Starfish. I have so much fun bringing our Living Oceans into classrooms using the art of marine science and storytelling to engage with students (…and their teachers!). I use a creative education approach to teach students how to learn, live and love our oceans through interactive activities such as Shark Art, Drawing out how we tag along with the biggest shark in the sea through to learning how to Sketchnote your Science (using visual thinking). I have the #bestjobever and you can ‘tag’ along with my Creative Education. I am also ending 2017 on a HIGH NOTE as I have just submitted my ‘Roughs’ illustrations to my Publisher for my debut kids picture book about the challenges facing our Great Barrier Reef! Illustrating 32+ pages of a kids picture book has been a GREAT BIG challenge for me, but I have loved every minute of it! So I am SUPER excited to start painting the pages for my picture book in the new year! 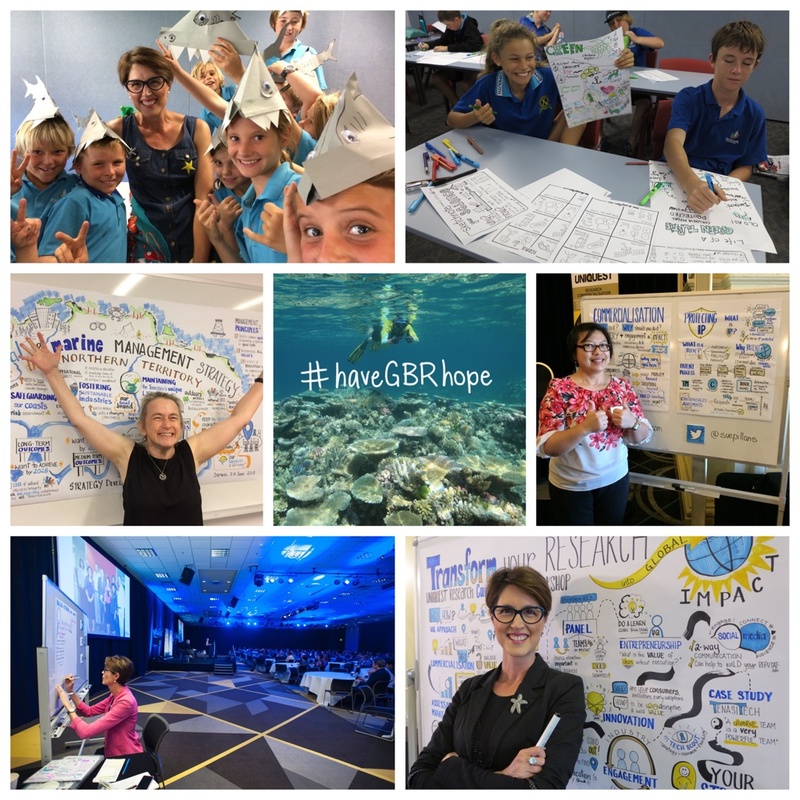 Stay tuned here for the 2018 book launch, follow the #haveGBRhope on your social media and you can also keep updated with the progress of The Great Barrier Reef. ← Our GREAT Barrier Reef!